For most of us, a trip to the airport is a good reminder of everything wrong with the world. Long lines, expensive food, and grumpy passengers all combine to make an atmosphere pretty much guaranteed to ruin your day. 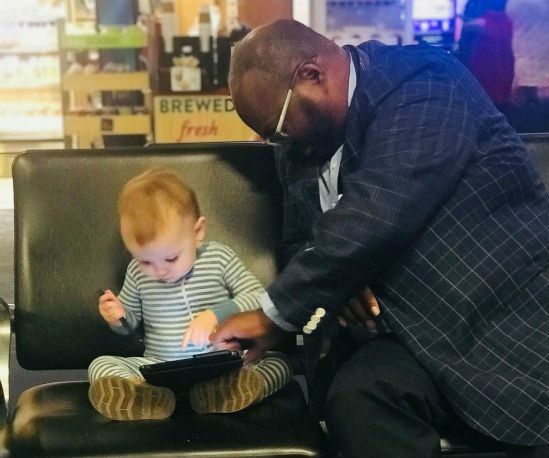 But author and public speaker Kevin Armentrout’s recent stop at the airport with his 16-month-old toddler proved to be memorable for a few good reasons. First, his daughter Carter Jean made a new and unlikely friend: a sales manager from Oklahoma named Joseph Wright. Second, Wright’s sweet interaction with his daughter inspired Armentrout to share an important life lesson with his followers. In an interview with Yahoo Lifestyle, Armentrout revealed that Wright watched Charlie Brown and shared cheese puffs with his little girl, and didn’t even blink when she turned fussy. Incredibly, Armentrout’s post did manage to reach Wright’s friends, who said that his special moment with Carter Jean was totally in character. 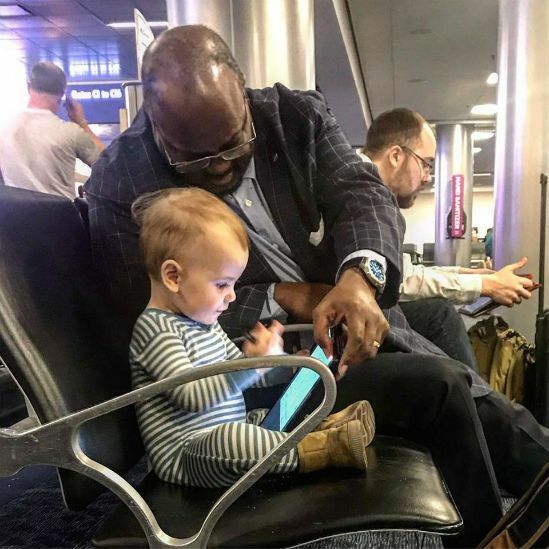 “I can tell you he is indeed a great man and he is awesome with kids of all ages!” one wrote. 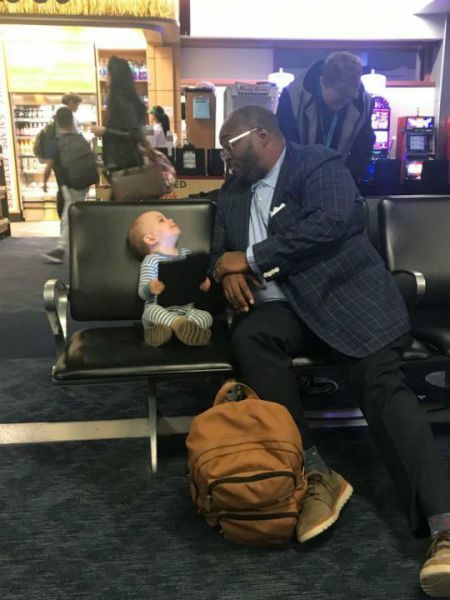 Armentrout’s post has been liked more than 180,000 times, and shared more than 70,000 times, so it’s obvious that we all could use a happy moment like this in our lives. Did Wright and Carter Jean’s special moment make you smile?